Horses are one of the oldest domesticated animals to a human being. Throughout the world there are different horse breeds are evolved based on the requirements and environments. People use various horse breeds for their passion and choice, purpose and availability. All the horse breeds are suitable to all atmosphere of the world. There are thousands of horse breeds in the world but are not the same popular and well-known. Each horse breeds have distinct characteristics, physical condition, environmental adaptation, and purpose. Throughout history, people made the crossbreed with renowned horse breeds to bred horses selectively as their desire. In my first article I have written the most famous racehorse breeds, and there you will get an idea of 15 racehorse breeds of the world. In this article, you will get an idea about other 20 common horse breeds of the world. 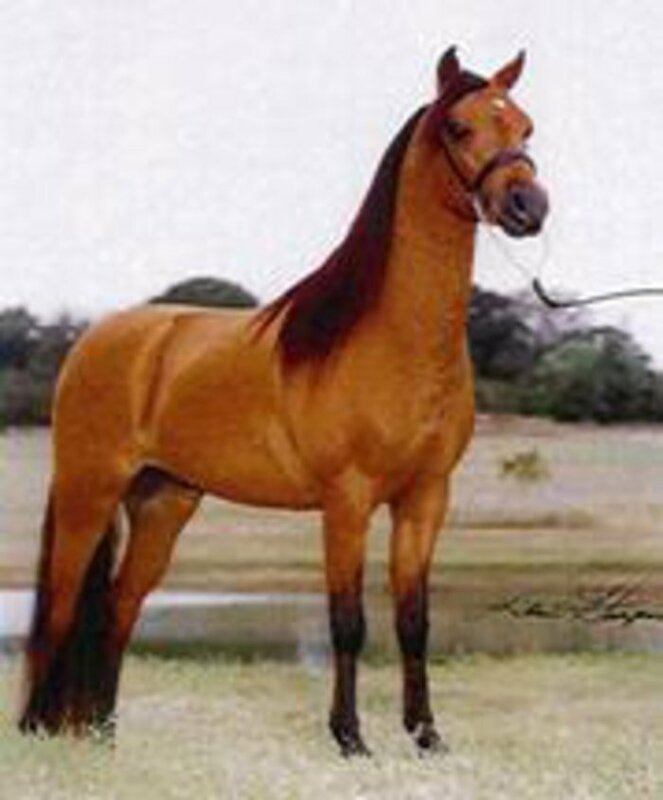 American Saddlebred is an American horse breed originated in Kentucky. The breed resulted from the cross-breeding of the Narragansett Pacer, the Morgan and the Thoroughbred. A horse breed which is suited to such disciplines as hacking, dressage, hunting, show jumping, trail riding, and great endurance. The American Saddlebred stands at around 16 hands. It is known for its unusual five gaited action. A breed was resulting from cross-breeding of Thoroughbred and Arabs, Anglo-Arabs are admired for their courage, noble appearance, balanced action, and endurance. 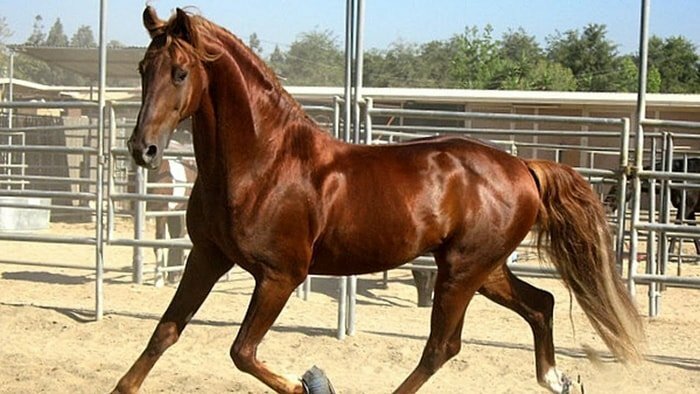 The thoroughbred gives the Anglo-Arab its size, shoulders, powerful hindquarters and speed, while the Arabian provides beauty, bone structure, good feet, and stamina. The combination produces an ideal performance horse. After the imported ponies began arriving in Australia, there was a need for specific breeding guidelines. Selected pony shires were mated with mares of known pedigree and with certain foundation mares of a pony type to produce Australian Pony is one of them. The Australian Pony is maximum 14 hands in height. All colors are acceptable. It should have excellent body structure with no hereditary defects. They are good tempered and ideal harness pony. This pony is a smaller addition of the hack, and its height ranges from 12.2 hands to 14.2 hands. 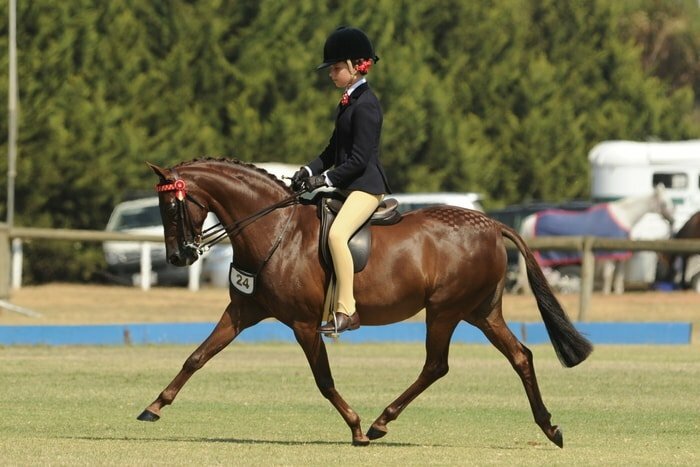 The Australian Riding Pony is necessarily a quality animal with superb conformation. Free straight action from the shoulder and knees, they are very intelligent. The Australian Riding Pony was made by the selective crossing of the Arabian, Thoroughbred, and Pony bloodlines and is mainly used as a children show pony. The Belgian is descended from the Flanders Horse and has developed through selective breeding into an exceptional utility horse of high power. Weight more than 1200 kilograms and standing at 17 to 18 hands, the Belgian Draught Horse stands close to the ground and has an amply muscles croup and broad chest. 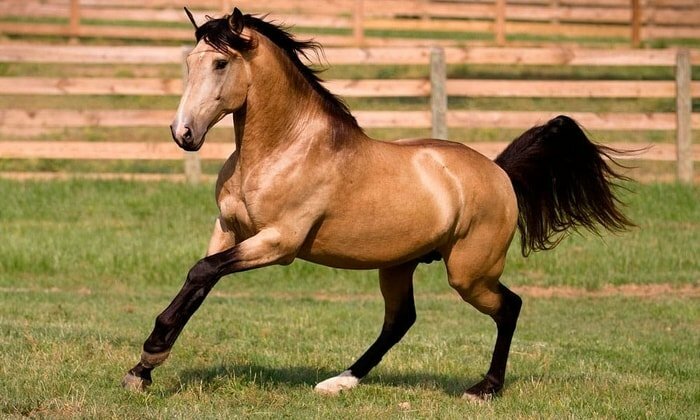 The Buckskin is a “color” is not a horse breeds. Each horse has, however, must be a good representative of its type. There are five color classifications Buckskin ( a sandy color) dun ( Silver to deep Mahogany), Red Dun ( Deep Mahogany), Grulla ( Blue or Crane colored) and Cream color. All have dark points on the body, darker tail and mane. The grulla color and the duns must have a dark dorsal stripe down their back. A clear Buckskin color in the hairs at the base of the tail and the mane, giving a frosted appearance, is quite acceptable, as are most eye colors and white spots on the face of the horse . White spots on the legs should not exceed the knees or hock joint. Zebra stripes on the legs may also be present. The Caspian horse originated in the Caspian mountain in Iran. 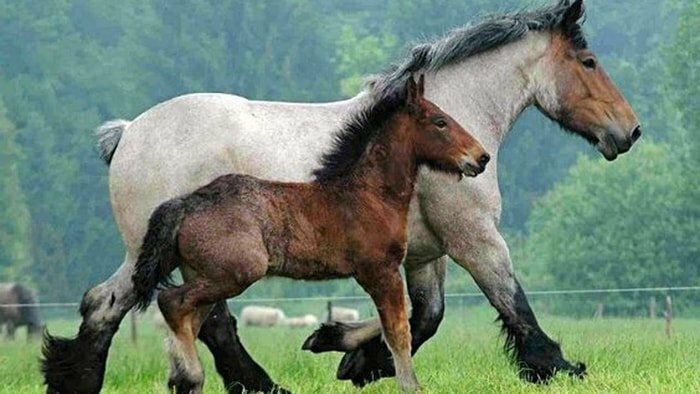 Thought to have been extinct for centuries, the Caspian Miniature Horse was rediscovered in 1965 in a village in northern Iran. Since then the Caspian studs have been established in several countries including Australia and USA. Despite the establishment of the breeding programs, however, it is believed that there are less than 300 purebreds in existence. Although small, with an average height of 11 hands, Caspian are not ponies. 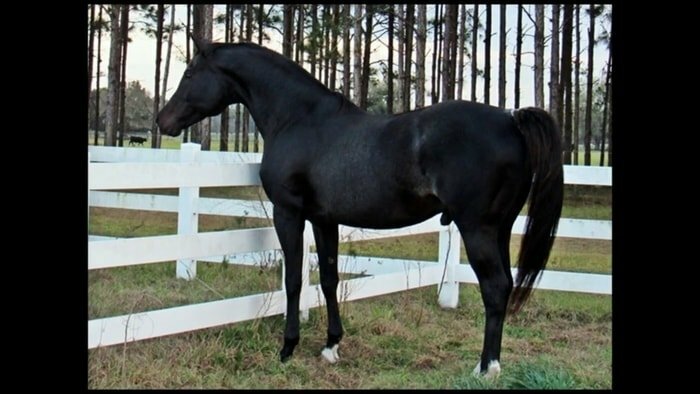 They have a slim body with a graceful neck, long sloping shoulder, and a thick girth. Limbs are slender, with strong, dense bones and little or no feathering at the fetlock. The breed is light, well balanced, agile and robust. Their jumping ability is extraordinary for their size. The Caspian’s kind and willing nature, small size and smooth gait make them ideal as a child ’s first horse. 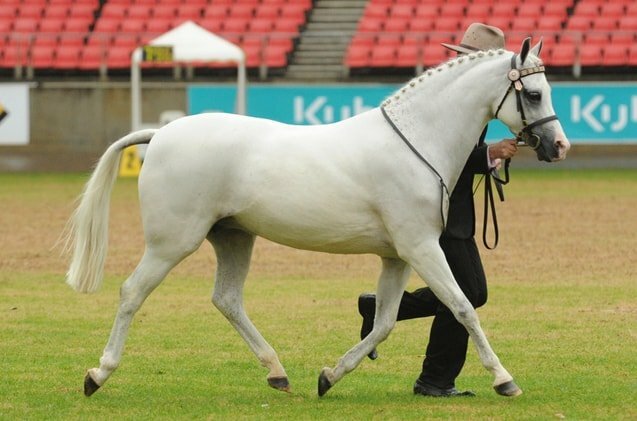 Though once regarded as superb coach horses, today Cleveland Bays are valued for their ability to produce top quality crossbred performance horses. 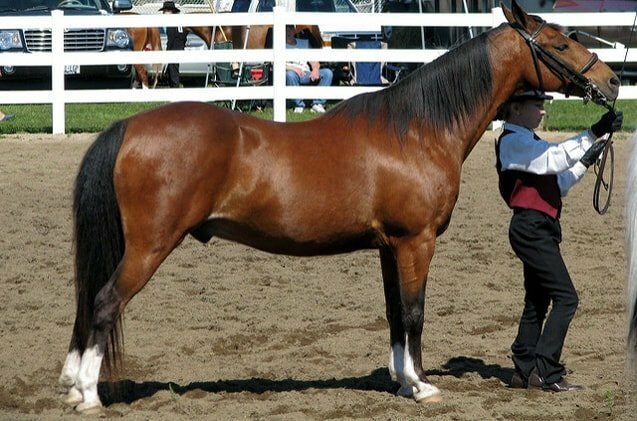 Cleveland Bays are sound clean-legged and active horses with substance and good temperament. When crossed with Thoroughbred mares, in particular, they produce ideal competition horses, combining the speed and ability of the thoroughbred with the straight movement and hardiness of the Cleveland Bay. The Clydesdale was made to be very hardy draught horses. Clydesdale is on of the flat-bone draught horse breeds in the Universe. They, along with its fine joints, the set and flexibility of its pastern and its close settings, both fore and hind, enable perform a goog job with good lombs and can move legs quickly. 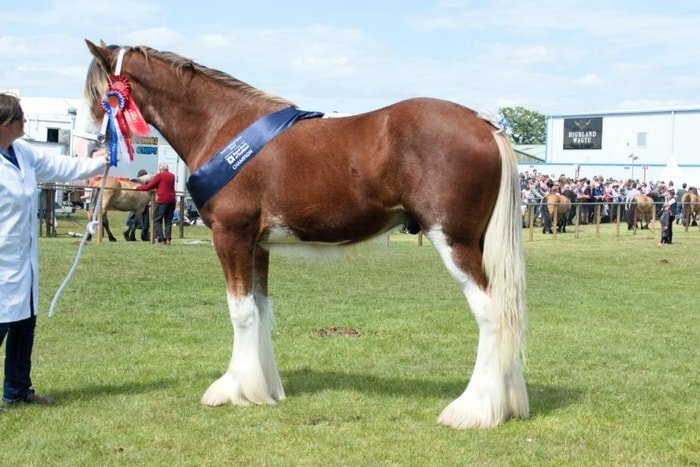 The Clydesdale is short-coupled and has thick, sloping shoulders. It is expansive feet give it a firm grip on the ground, and it’s large sparingly heels act like shock-absorbers under pressure of heavy weights. 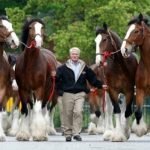 The Clydesdale is very calm and has a majestic “outlook.” It is a great favorite in showing purpose. The horse breeds also bred in Europe, Japan, Australia, and America as the source of power for smaller farms and short haulage work. 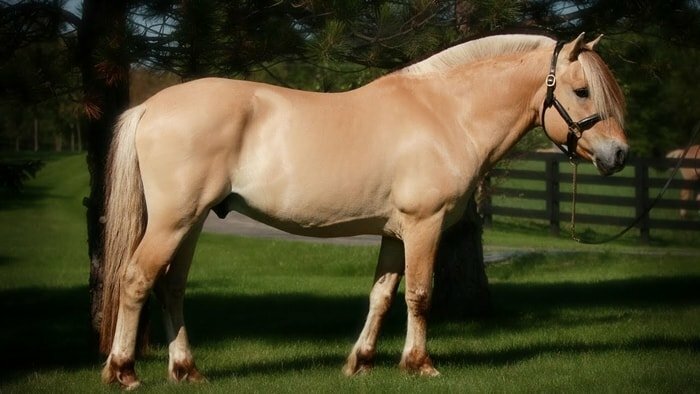 The Connemara pone is one of the larger pony breeds, ranging in height from 13 to 14.2 hands. The dominant colors are grey and dull. The connemara are stronger than dainty. They can carry as much as 75 kg or more weight and move great distances but is amenable enough for smaller members of the family to enjoy. 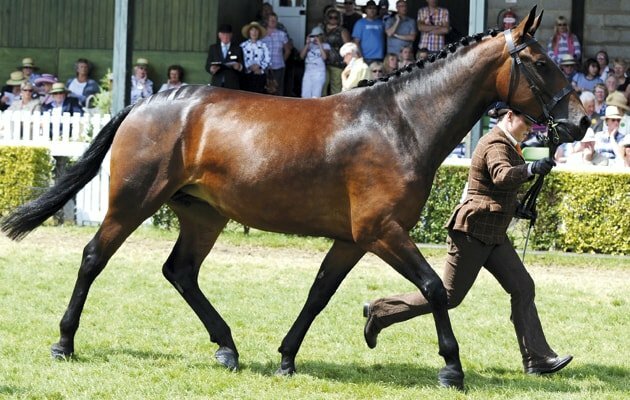 Having evolved in the rugged stony country where food scares, the Connemara has survived through agility and intelligence, and this makes it suitable for a wide variety of activities including dressage, stock walks, or facets of pony clubs, show jumping and harness work. The Dartmoor is an excellent looking riding the pony with a small headset well on a strong, but not massive, neck. Its shoulder is well laid back, its back is of medium length, and its loin and quarters are strong and well-covered muscle. Its tail is set high and full. The Dartmoor’s usual colors are black, brown and bay, and its maximum height is 12.2 hands. 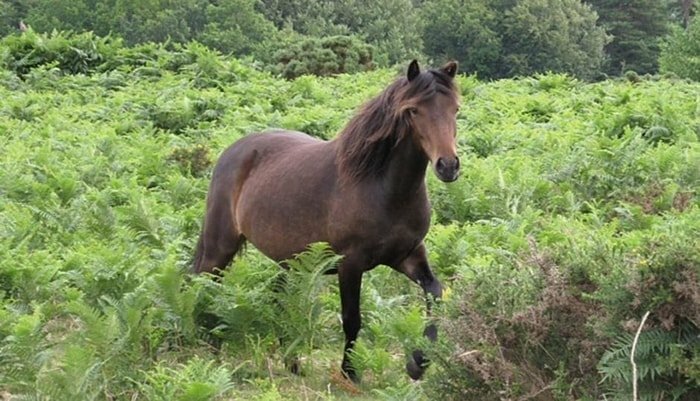 Small size, calm temperament, and affectionate nature makes the Dartmoor Pony particularly well suited for harness work and work as a children’s pony. Also known as Norwegian Fjord Pony, the Fjord Horse is a native breed of Norway with origins dating back to the post-glacial era. It is an exceptionally good-natured breed suitable for both harness and riding. Standing at 13 hands on average, the Fjord is classified as the pony for competition purpose, although its admirable insist it is a horse. 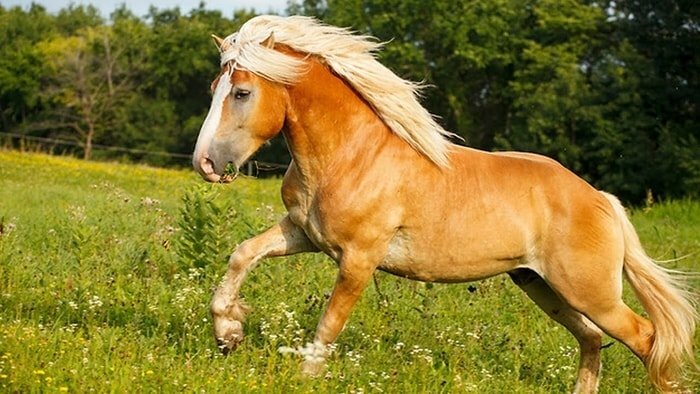 It is a dun-colored animal with a clearly defined dorsal stripe bordered on the mane by the lighter hair. 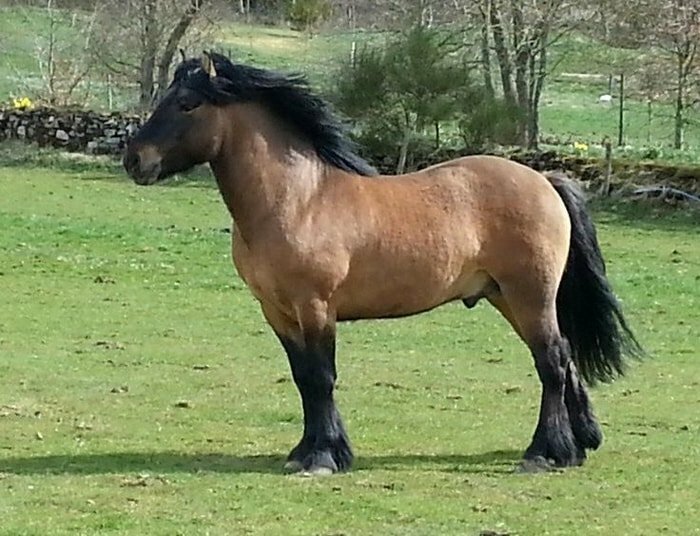 Characteristics of the Fjord Horse include a clear head with small ears and a broad forehead, a short, thick neck, a compact and robust body, sloping shoulders and long rump, a bristly mane, and short, thick, sturdy limbs. By nature, the Fjord horse is sturdy and adaptable, with a high degree of common sense and intelligence. It lacks the highly developed flight instinct of most other horses and rarely, if ever, panics. It is a kind solid mount for riders of all ages. 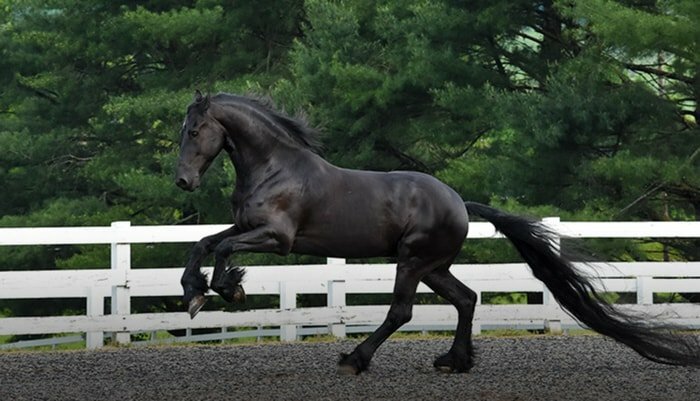 A heavy horse especially suited for harness work and high-level dressage, the Friesian originated in the Friesland, a province of the Netherlands. These horses were exclusively bred for a period of 1000 years and had had little influence from other breeds. The average height of the modern Friesian is between 15 and 16 hands. They make a flamboyant impression in the show ring because of their extravagant natural knee action and their long wavy mane and tail. There is a Hackney pone and Hackney Horse each has a bold head, large eye, and small ears. When trained, the Hackney pone excels at a collected trot with the most energetic display. The Hackney horses action is not quite so dynamic. Size ranges from 11 to 16 hands. The Haflinger originating in Austria, the most distinctive feature of the Haflinger is its flaxen mane and tail. 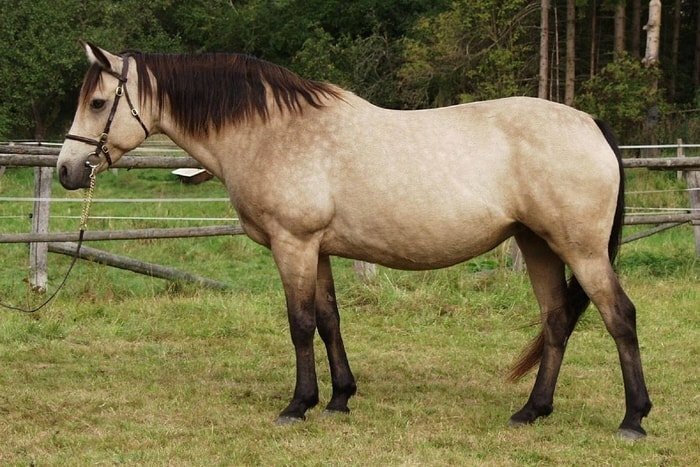 This combined with its body color, which ranges from pale to dark chestnut, makes it a unique horse breed. The Haflinger physique shows a head tapering to the muzzle, a broad cheat, deep gut, short legs, and a long, fullback. Docile, good-tempered and adaptable hard worker, Haflingers are frugal, tough, sure-footed and long living. They are used for trail riding, show jumping, dressage, harness work and as pack horses in steep terrain. 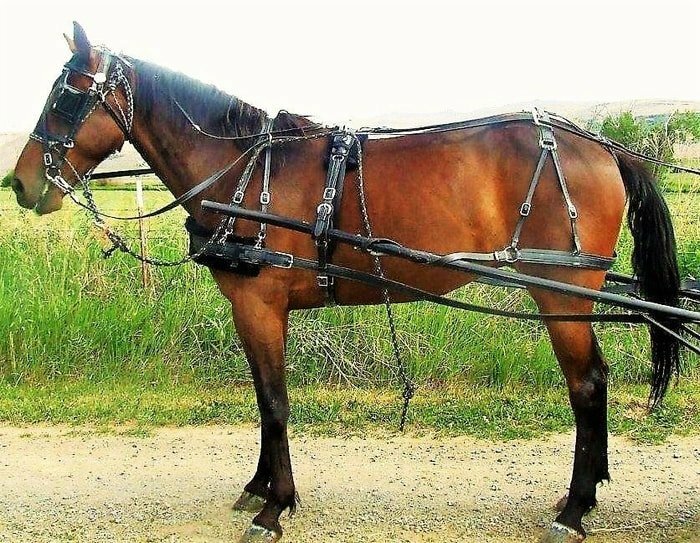 A Harness horse breed is one of any breed, from a Shetland to a Clydesdale, that can pull a jinker or cart. It should be sturdy and sound with excellent confirmation. It can be used for show, pleasure or three phage riding. A breeder must be more selective during breeding this horse breeds. The Highland Pony is native to the highlands of Scotland and certain adjacent islands. Its unique two-layer coat enables it to withstand the bleakest winter. The two recognized type of Highland pony is the Scottish Mainland and the Western Island. The later is small and of lighter build than former. The strength and docility of this animal are renowned. The Highland is easy to recognize as it a right pony of great beauty and strength. It ranges from 13.2 to 14.2 hands in height, and it is generally dun, grey, grey, black or brown in color. It has an attractive head with prominent eyes, muscular neck, shoulders that are set well back, a broad chest and well-sprung ribs. Its quarters are powerful and its thighs strong, while its actions are free and straight. The Irish Draught has the versatility, endurance, and a pleasing disposition. It is thought that this specific results from their time as the selected horse of the Irish farmers. Descended from the Norman Heavy horses and infused the blood of the Andalusian, Barb, and Thoroughbred, the Irish Draught is used intensively in show jumping, although its good straight action and willing temperament also make it ideally dressage. 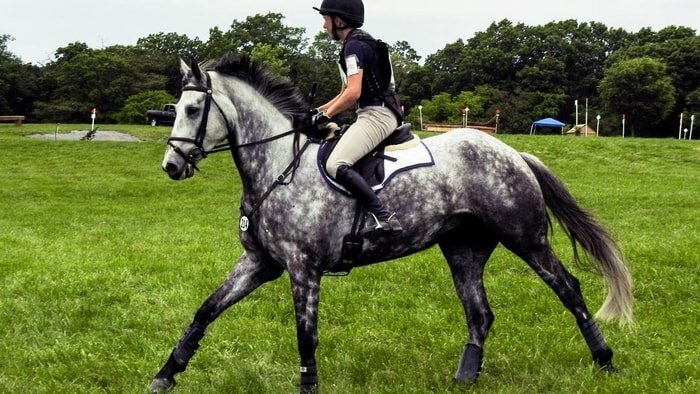 The Irish Draught and Thoroughbred cross, known as the Irish Sport’s horse, has proved an ideal performance horse, combining the best qualities of both horse breeds. 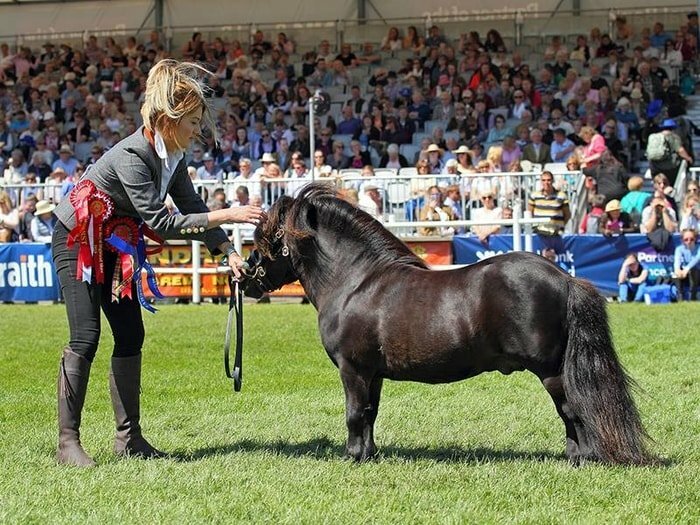 Shetland is one of the smallest breeds of the pony, they are known throughout the world and is remarkable for being probably the most influential member of the world concerning its size. Owing to its docile and tractable character, it is well suited as a saddle pony horse for small children, it is also marvelous in harness and can move along at a brisk pace. The average height of Shetlands is about 9.3 hands, and a limit is 10.2 hands. 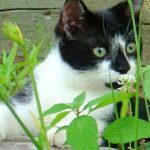 It can be of any color, including piebald and skewbald, and should have an attractive head with small well-placed ears. With its thick, hardy little body, set on short busy legs, it is most loveable. To the uninitiated, there may not appear too much difference between the Worm-blood and Worm-blood sports horse. The difference is that the Australian worm-blood Sports Horse Association (AWSHA) exceeds all European worm-bloodline, including Cleveland bays. Provided a horse has traceable European bloodlines and has complete successful in breeding, it can qualify for registration with the AWSHA. As a horse lover or owner or caregiver, you must have preliminary knowledge of different horse breeds of the world. The horse breeds differ in region to region and on purpose. In this article, you got brief idea 20 horse breeds. I think this will help you a lot. If you are benefited by this article, please subscribe to our website and share with your friends.